Sulfur sticks land in Italy during the nineteenth century thanks to the trade routes between Genoa and South America. According to some sources the Genoese seamen discovered these “golden cylinders” and brought them back to Italy for their therapeutic powers. 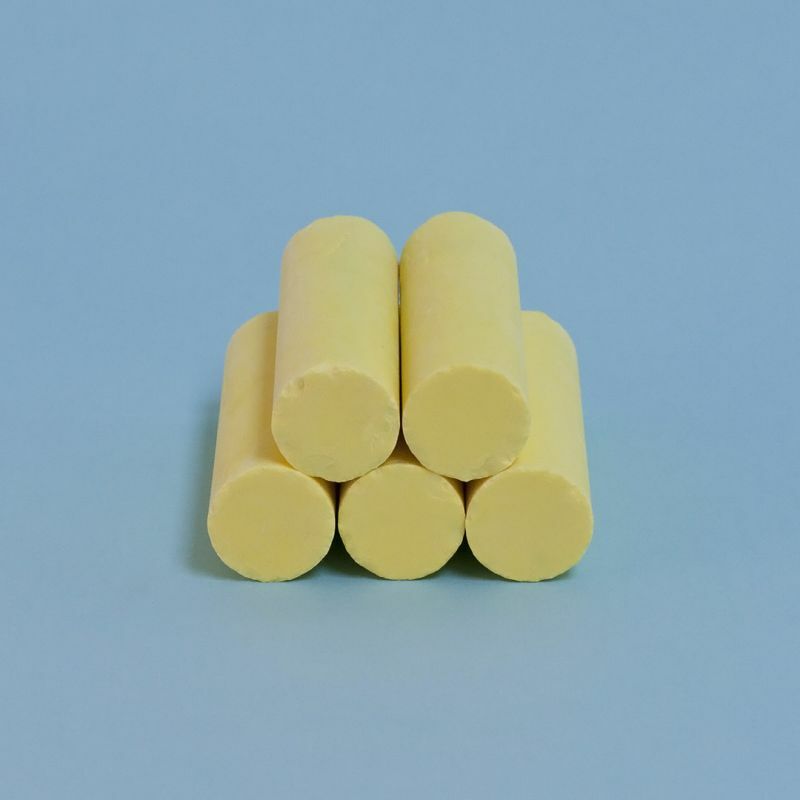 Although there is no scientific proof that they actually work, sulfur sticks continue to be a very popular remedy and are for individual sale in pharmacies (usually in odd numbers, in batches of three or five). They are simple to use: rub the stick on the aching part until it starts to crackle. The sound indicates that the sulfur is starting to react, absorbing the extra air inside the body. Sometimes the stick can snap abruptly: in this case the pieces are rinsed in running water to discharge the electricity accumulated, and then the treatment proceeds until the area affected is not inflamed anymore. Another way to use the broken parts is by crumbling them in hot water for foot baths and topical applications. Curiously enough, this remedy is virtually unknown outside of Liguria.